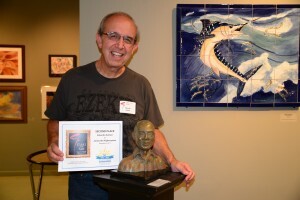 Jimmy the Highwayman, a sculpture donated by Eduardo Gomez won second prize at the 7th D’art for Art show. 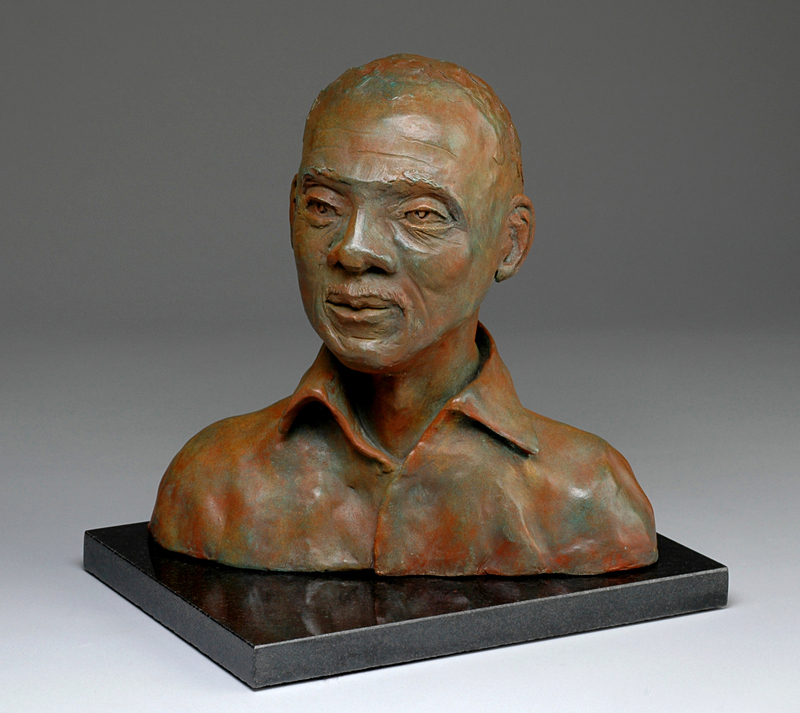 Jimmy The Highwayman is a sculptural portrait of renowned Highwayman painter Jimmy Stoval. Jimmy sat for the sculpture during the winter of 2007, at a demonstration at the Garden of Goods Gallery in Hobe Sound, Florida show where Jimmy and Eduardo were both exhibitors. Artists from south Florida and as far away as Wisconsin, New York and Massachusetts, have donated more than 200 works of art, jewelry and artist-made home decor for the 7th Annual D’Art for Art fundraiser. The exhibition was judged by Elayna Toby Singer and awards were given at the Artists’ Appreciation Party at the Lighthouse Art Center Museum held exclusively for donating artists, on November 2, 2013.